I cannot believe that I have never done a write up on this book. But if Blogger Search is to be believed, I haven't. 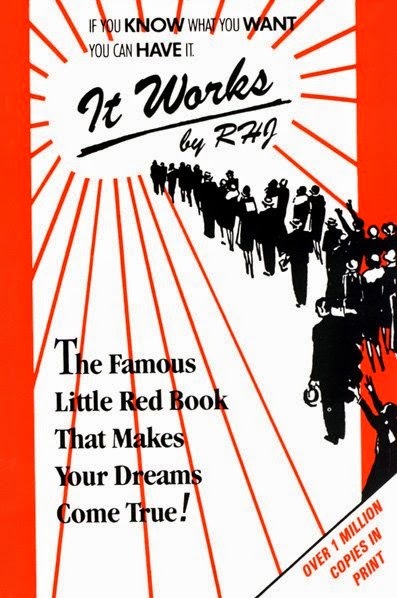 It Works by RHJ is nicknamed, "The Famous Little Red Book" because it is little (less than 30 pages)...and it is red...so there. Anyway, the book was written by RHJ who at first didn't want his name being known. Later it turns out his name was R.H. Jarrett. The books premise, like all great books like this is VERY simple. 1) You write down in as much detail as possible exactly what you want. 2) Think about it as it is already done (Neville's "Living in the end") as much as possible. 3) Don't talk about it to anyone until you see the the things happen. You don't want their negativity. The book can be purchased from Amazon or found online in many places for free in PDF form. Amazon may be one of the best advertisements this book has, because there are many glowing tributes to the book there. Possibly the greatest tribute is a review by a man named Brad Jensen, whose review is almost as long as the actual book. 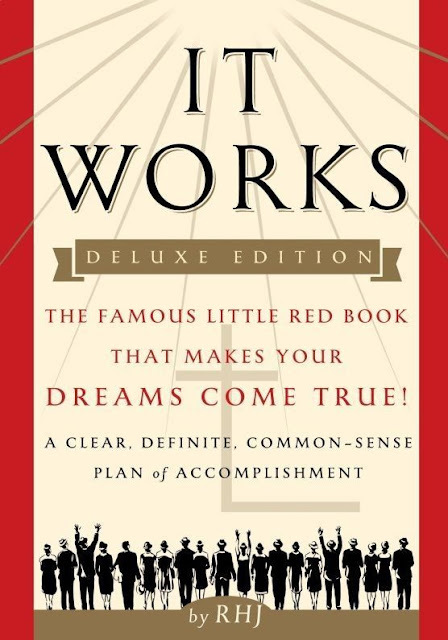 Brad starts out saying that, "My annual income is now 35 times greater than it was the day I first read this little book. I have gained houses, cars, boats, businesses, friends, a family, and numerous creative and prospering ideas using the principles set forth in this book." He even goes on to tell "How to Get Faster and Better Results" in his review. But Brad's isn't the only review there. I am in the middle of trying it out myself and I will let you know in a few days how it has worked out. Right now I have a little over a week left on my 30 day trial run. But I have to tell you, I have seen at least two things happen already that were amazing and one actually did defy reason. Like Brad I am not selling the book. Here is "It Works" by RHJ in it's entirety. I said it was a short book. But in a little over 13 minutes you can hear the whole thing.